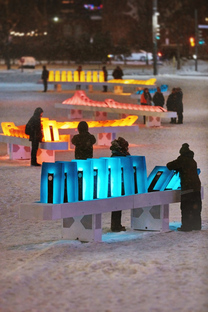 Domino Effect by Ingrid Ingrid is a participatory installation, winning the ninth edition of Luminothérapie, Quebec’s largest competition for temporary public art installations, located in the heart of the Quartier des Spectacles, Montreal. There are lots of different ways to respond to the dark winter months of the northern hemisphere. 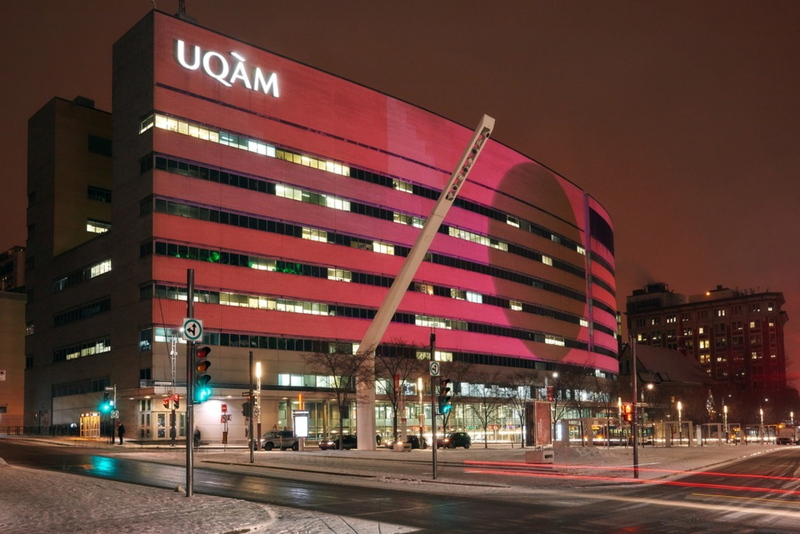 One of these is Luminothérapie, Quebec’s largest competition for temporary public art installations. 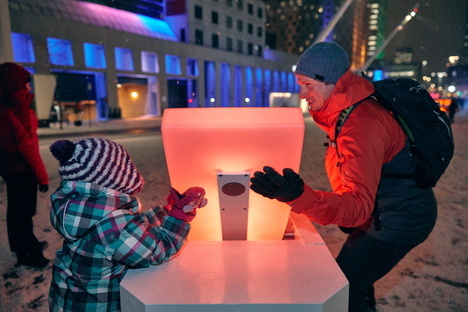 Every year, Luminothérapie showcases an original, interactive and engaging winter experience in the Quartier des spectacles, Montreal with a major light installation in Place des Festivals. Luminothérapie strives to cultivate creativity in the design of urban installations and digital art. If you live in Montreal or visiting the city, until 27 January you can enjoy Domino Effect by the creatives of Ingrid Ingrid. This is a fun experience that brings people together and fosters a spirit of cooperation. The interactive installation consists of 120 dominos distributed across several stations. The public is invited to play with the sets of ten giant, brightly coloured dominos in different ways, creating a wide range of sound and lighting effects and when players topple the dominos in a long cascade, the resulting multi-coloured domino orchestra plays a unique musical work in a colourful and luminous row of pastel hues. Every set features a different sound profile (vocals, percussion, marimba, balafon, flute and so on), and since each domino makes its own unique sound, visitors can even play DJ by “scratching” a domino, spinning it at different speeds or drumming on it with their fingers. Players can join forces to set up the dominos faster and trigger the next cascade or nudge them in the opposite direction to reverse the sound sequence. With its vintage tropical colours, the interactive and collaborative Domino Effect experience by Ingrid Ingrid makes for a positive, energising outing, using play as a catalyst for new encounters and fun, a ray of light in the long winter day, shaking off that winter gloom for young and old alike!